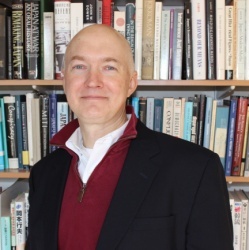 ERIC HEGINBOTHAM is a principal research scientist at MIT’s Security Studies Program and a specialist in Asian security issues. Before joining MIT, he was a senior political scientist at the RAND Corporation, where he led research projects on China, Japan, and regional security issues and regularly briefed senior military, intelligence, and political leaders. Prior to that he was a Senior Fellow of Asian Studies at the Council on Foreign Relations. After graduating from Swarthmore College, Heginbotham earned his Ph.D. in political science from MIT. He is fluent in Chinese and Japanese, and was a Captain in the U.S. Army Reserve. Heginbotham is a co-editor of China Steps Out: Beijing’s Major Power Engagement with the Developing World (Routledge, 2018). He was the lead author of two recently released RAND studies, China’s Evolving Nuclear Deterrent (2017), and U.S.-China Military Scorecard (2015). Heginbotham has published numerous articles in Foreign Affairs, International Security, Washington Quarterly and elsewhere. He is currently working on a book on Japanese military strategy. Eric Heginbotham and Richard Samuels, "A New Military Strategy For Japan," Foreign Affairs, July 16, 2018. Eric Heginbotham, China’s Evolving Nuclear Deterrent: Major Drivers and Issues for the United States, lead author, RAND Report, 2017. Podcast: “The U.S.-China Military Scorecard: Who’s on Top?” Council on Foreign Relations, March 23, 2016. Podcast: “United States and China: Trends in Military Competition,” Briefing to Congress, October 5, 2015 (available on iTunes).